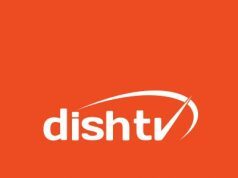 New Delhi: Dish TV India Limited, the world’s largest single-country DTH Company, announced the launch of its new campaign for DishTV brand with Bollywood superstar Ranveer Singh as its ambassador. The campaign has been designed to showcase the brand in a completely new, bold avatar – signaling a new phase in the brand’s life cycle. Ranveer Singh is an accomplished and leading film actor who will lend weight with his edgy and youthful attitude to DishTV’s new brand campaign ‘Dish Nahi Dishkiyaon’. The brand TVC featuring Ranveer Singh, shows him in different situations with DishTV playing on his mind. To break from the monotony, he presses an imaginary remote and breaks into a dance frenzy. The film concludes with him celebrating amongst people, dancing to the entertaining tunes of the all-new ‘Dishkiyaon’ DishTV. The product window talks of its upcoming SMRT Stick for streaming online videos, 5X HD Clarity and unlimited entertainment packs, suggesting how DishTV is adding fun and entertaining moments to the lives of its customers through innovative new products and services. 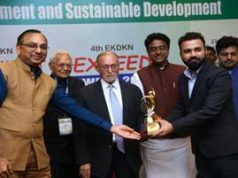 Speaking on the new campaign, Mr. Sukhpreet Singh, Corporate Head – Marketing, Dish TV India Limited, said, “Our new ad campaign is here to woo the younger generation with the choice of our new brand ambassador and quirky campaign tagline – ‘Dish Nahi Dishkiyaon’. As the tagline implies, DishTV is everything fun, cool and entertaining. With a slew of new products on the anvil coupled with irresistible packs and offers, our customers are sure to look at DishTV in a new light. This latest campaign which has been conceptualized by Enormous Brands, is soon going live and will be running on air across GEC, Movies and popular regional TV channels. It will be a 360-degree campaign that will also go live on all the key platforms – digital, print, radio, OOH and city activations this festive season. The campaign will also showcase a few of the innovative products & packages lined up for launch during the upcoming festive season and beyond.